The University of Oregon community is mourning the loss of one of its most gracious and generous alumni, Beverly Jean Lewis. She died Oct. 20 in Newport Beach, California, at the age of 90. Together with her late husband, Bob, Beverly Lewis made visionary gifts supporting the broadly interdisciplinary “team” approach to science the UO has since become known for. 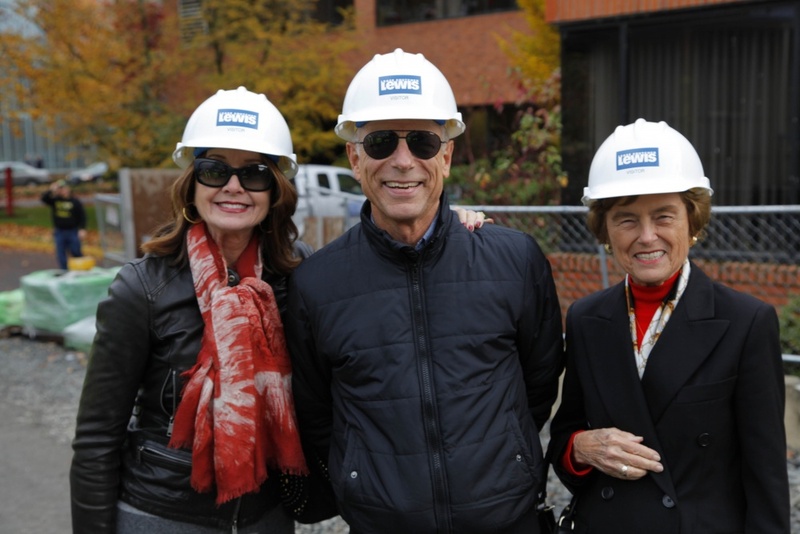 Through their leadership, which attracted major financial investments from the state and other donors, the Lewises laid the foundation that supports the UO’s most promising research related to human and environmental health. Michael H. Schill, UO president and professor of law, said Beverly Lewis’ compassionate spirit will live on in the work being done at the UO science facilities bearing her name. Lynn Frohnmayer says she came to admire Beverly Lewis greatly during the 15 years Frohnmayer's husband, the late Dave Frohnmayer, served as UO president. 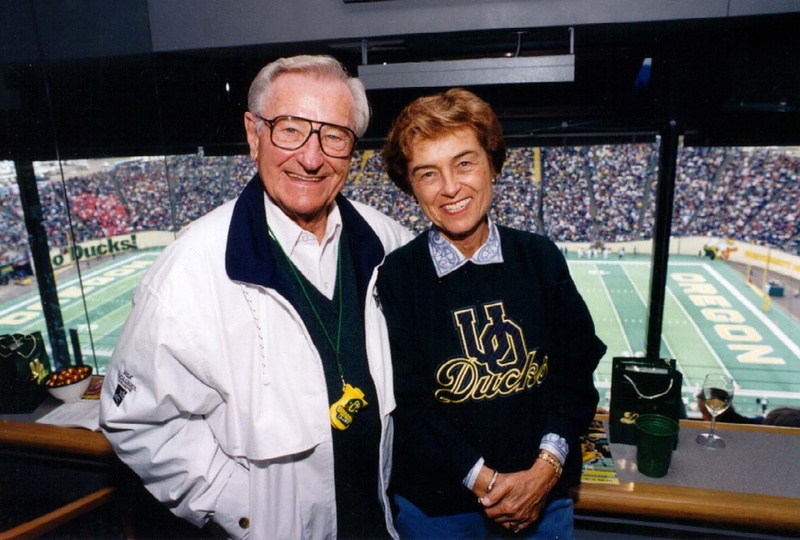 Frohnmayer said the Lewises became excited about supporting UO research during a Duck game in fall 2000, when Dave Frohnmayer told them how a gift to help acquire neuroimaging technology could accelerate pioneering research on the mind and brain. 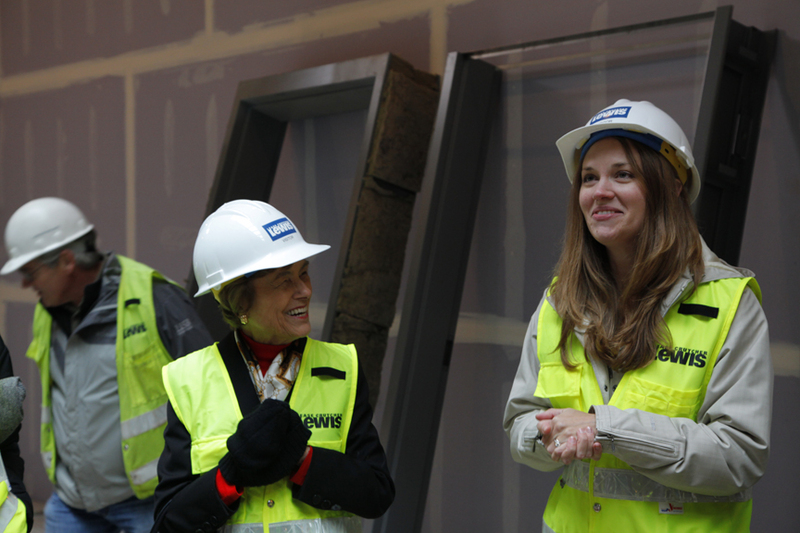 “They saw the opportunity to help improve human health and stepped up to support creation of the UO’s first neuroimaging center,” Lynn Frohnmayer said. Their gift, announced in June 2001, also funded an endowed faculty chair and an endowed professorship in the emerging field of neuroscience. In fewer than five years, the Robert and Beverly Lewis Center for Neuroimaging had equipped the UO to land more than $100 million in federal funding for brain research but was quickly outgrowing its facilities. 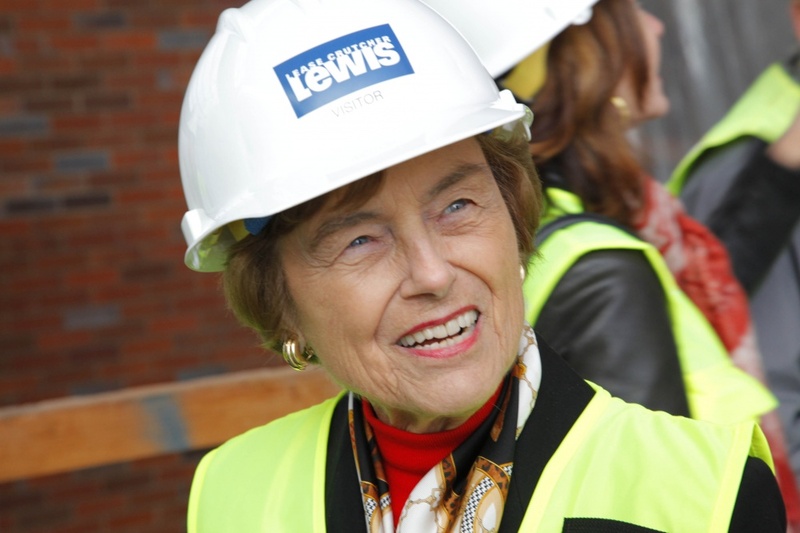 In 2008, Beverly Lewis made the lead gift to secure state support for a $65 million research facility with a new neuroimaging center. Opened in 2012, the UO’s Robert and Beverly Lewis Integrative Science Building unites leading researchers in molecular biology, cognitive neuroscience, psychology, genomics, optics and computational science in a team approach to developing treatments for diseases and injuries affecting the mind and brain at all stages of life. The Lewises are among the great UO love stories. 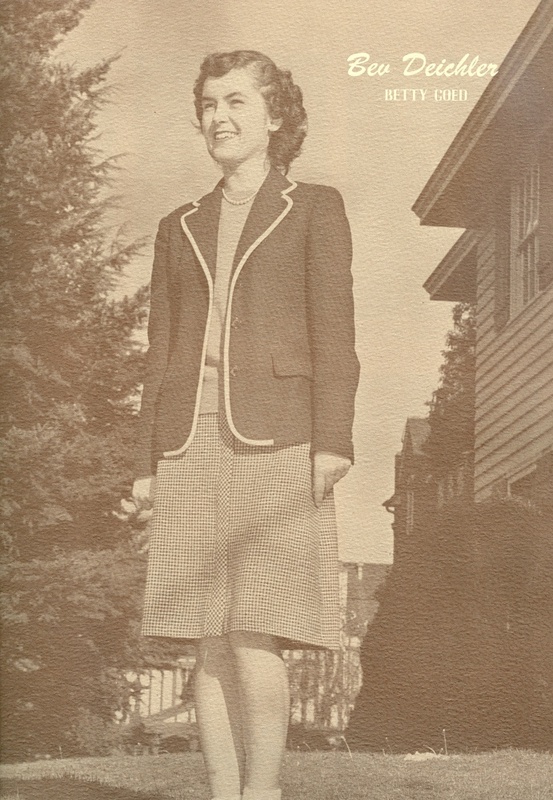 In 1947, Beverly Deichler was on her way to being voted Betty Coed and Bob Lewis was a crew-cut World War II veteran leading yells on the Duck rally squad. When he noticed Beverly playing bridge with her sorority sisters in the College Side Inn, he told his fraternity brothers he was going to meet her. They married a year later and returned home to California. In 1990, having established one of the nation’s most successful Anheuser-Busch distributorships, the Lewises began raising and racing thoroughbreds under the UO’s colors. Soon green and yellow silks were showing up in winner’s circles across the world, including the Kentucky Derby and the Preakness twice, and the Dubai World Cup. Lewis horses won just about every honor possible, and their owners won the affection of the horseracing community, where they were showered with honors. Racing friends called them “Chip and Dale” because of their sunny dispositions. 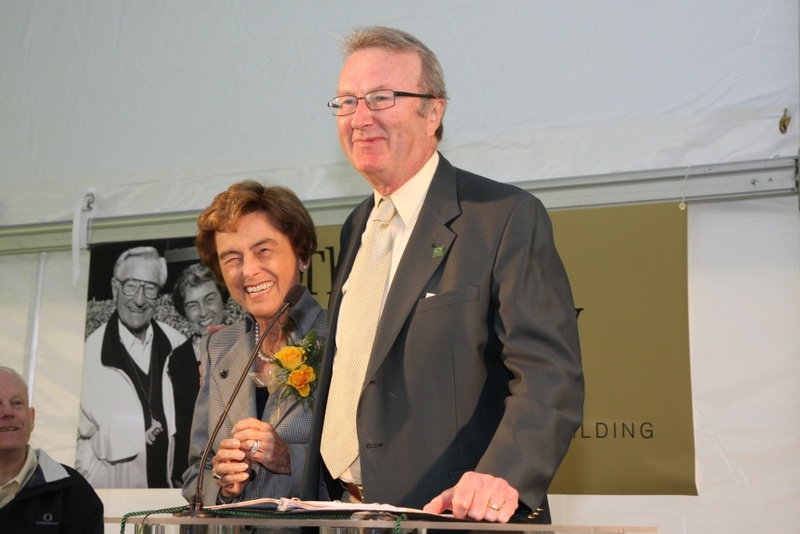 In addition to the UO, the Lewises gave generously to the Pomona Valley Hospital, which named the Robert and Beverly Lewis Family Cancer Care Center in their honor in 1993. The couple raised three children: Jeff, Jim and Nancy Lewis Francois. They had been married for 58 years when Bob Lewis died in 2006 at age 81. Details of a memorial service will be shared as they become available. In lieu of flowers, donations may be made to the Pomona Valley Hospital Medical Center Foundation in Pomona, California.